Established in 1945 as a small fire fighting pumps manufacturer in order to give an impulse in the reconstruction and development process during the post-war period, MZT Pumpi has grown into the biggest manufacturer of Pumps within the territory of Former Yugoslav Republic. During the process of transition and privatization of the state-owned companies, MZT Pumpi was transformed to Joined Stock Company with 96% of the shares in private ownership. Since its privatization, major changes have been made in order to adjust to the competitive environment accompanied with higher customer demands oriented towards non-standard (specialized) products. Combining over 70 years of cumulative experience with intensive investments in technology and equipment, we have succeeded to build a brand with an impressive track record within the pump industry in the Republic of Macedonia, the region and worldwide as well. MZT Pumpi success is a result of its own development and research, having a separate R&D department. The broad product range of MZT Pumpi nowadays is a result of a thorough research and development process in the past seven decades realized jointly with our skilled engineers, research institutes and universities, as well as close cooperation with our customers, who give us feedback and input for constant improvement and supplement of our product range. 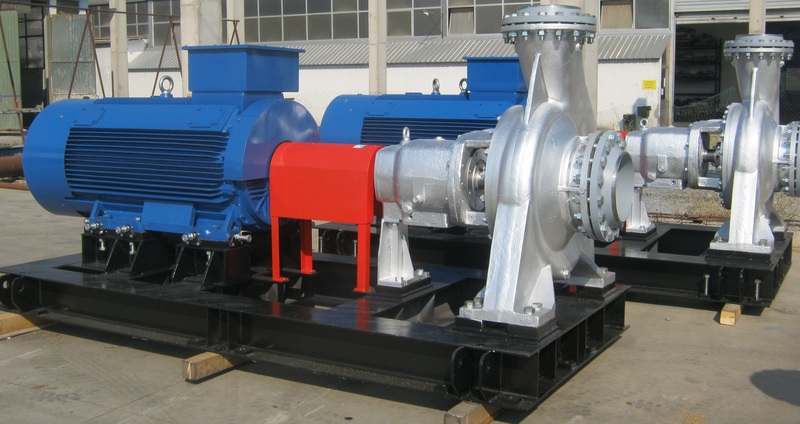 – Production of Three Screw Spindle Pumps for transport of high viscous mediums became the strategic goal. – Beginning of development and production of petrol centrifugal pumps for transport of highly evaporating mediums: petrol, liquid gases etc. – First Step towards development of Submersible pumps.